Teachers, administrators, parents and students work hard together to make each school year a success. 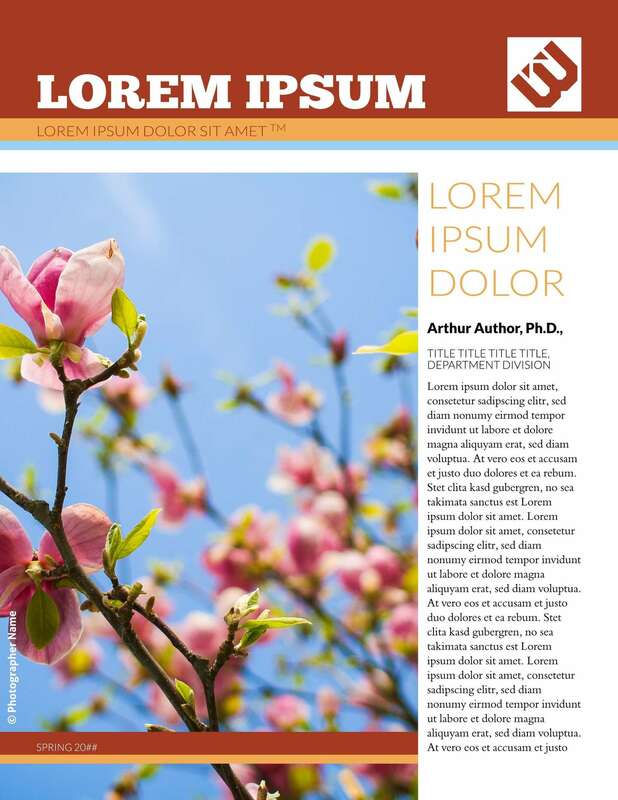 Encourage your classroom by sharing its progress in a bright and informative school newsletter. 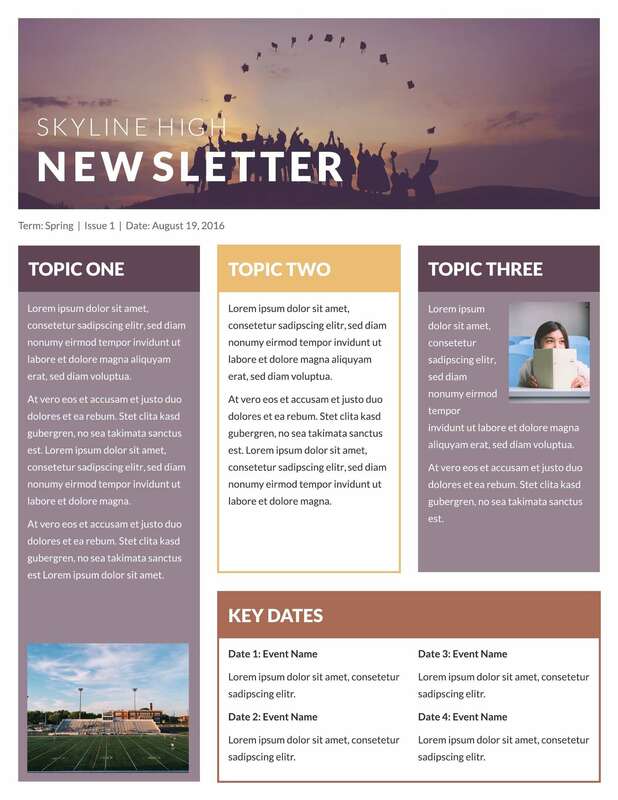 Our school newsletter templates are designed to give readers insight on what's going on in your class, grade, school, or even district. And with our intuitive web-based editor, changing fonts and colors is a snap. Show some spirit by uploading custom color palettes, class photos and mascot logos, and we'll save those items to use again when you come back to create the next newsletter. We figure that, with all the homework you have to grade and lessons to plan, you deserve to save a little time.